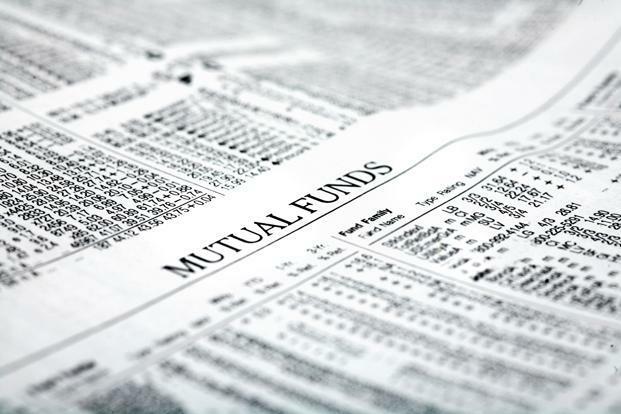 Mutual fund investors have shown resilience and faith in domestic equity markets at a time when foreign investors seem to be looking elsewhere. Since January to April-end 2018, net inflows in domestic equity mutual funds are slightly over Rs50,000 crore compared to nearly Rs29,000 crore for the same period last year. This comes on the back of regular systematic investment plan (SIP) inflows increasing to Rs7,119 crore in March 2018 as compared to a monthly inflow of Rs4,335 crore in March 2017. The number is significant given that while Rs43,600 crore was invested in equity mutual funds in March 2018, as much as Rs39,000 crore flowed out, leaving a net inflow number of Rs6,600 crore. The lump sum redemptions, experts said, had more to do with the impending implementation of long-term capital gains tax starting April 2018. With continued SIP support and additional buying, net inflows in April shot back up to around Rs12,400 crore for equity-oriented schemes. In April 2017, SIP inflows were roughly 45% of net inflows into equity schemes, they are up at 54% for April 2018. It does look as if money invested through this route is here to stay across market cycles. “Investors who choose to invest in equity through SIPs are being advised to stay for the long term. This money is going to continue to come and remain invested despite the uncertainty,” said Vikas Gupta, chief executive officer, OmniScience Capital. Historical trends have shown that equity returns stabilise if you remain invested over longer periods of 5, 7, 10 years despite short-term volatility. The ups and downs in the near term can be a result of various factors, including external shocks from developed economies, global geopolitical risks and our own macroeconomic data. “Rising US bond yields make the global equity risk premium less attractive and US bonds lucrative compared to investing in assets across the globe, hence, turning money flow away from emerging markets back to the US. FII flows have in turn become negative in EM including in India,” said Ritesh Jain, chief investment officer, BNP Paribas Asset Management Co. Ltd. 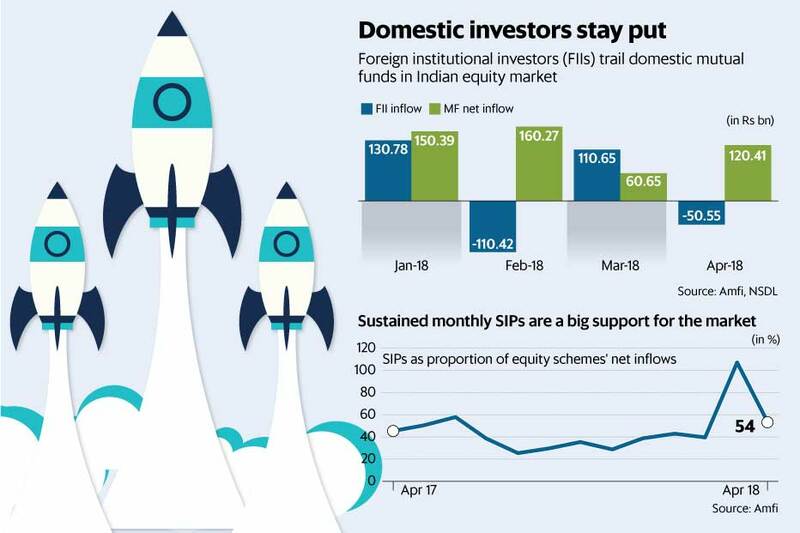 According to data from NSDL, FIIs and foreign portfolio investors (FPIs) were net sellers to the tune of around Rs5,500 crore in April 2018 and so far in May have sold around Rs4,300 crore in domestic equity markets. Today, domestic flows and not FIIs are supporting the equity market. There is a section concerned that this support may be artificially elevating the market given that macroeconomic data—specifically rising government securities (G-sec) yield, depreciating rupee, expected fiscal deficit in FY19 and impact of crude oil prices—are unfavourable today. Valuations look elevated as earnings revival in corporate India is yet to happen in any meaningful way. For many sectors, despite good sales growth, operating income is low and with crude prices rising and risks appearing for the domestic rate cycle, pressure on margins may continue. But experts said there are pockets of growth too. “We have to be selective in our choices, there is value in sectors like IT, two-wheelers and ancillaries, to count a few,” said Gupta. He said investors need to be more selective, either by choosing direct equity or by picking mutual fund schemes carefully. Large funds will find it harder to invest flows and stock selection may not be efficient, investors can benefit from picking good quality but relatively smaller-sized schemes which can focus on stock selection. “So far there is no reason to doubt the long-term track record of equity. Earnings remain intact for many companies if you look at it bottom up. Equity is patient capital and one has to remain invested, tactical opportunities notwithstanding,” said Pant. But risks are present and it’s not just the macroeconomic data. The concern is that a domestic economy fuelled by consumption rather than investment in capital expenditure can fall flat sooner or later. Moreover, the consumption expenditure is to some extent driven by leverage which can start to get stressful if the interest rate cycle turns even before the current non-performing asset stress for banks gets elevated. While it’s important to track this trend, with India’s retail debt-to-GDP ratio around 11%, it may be too soon to press the panic button yet. “While equity markets are getting supported by domestic flows, economic momentum can’t be ignored,” said Nilesh Shah, CEO, Kotak Asset Management Co. Ltd.
With fixed income rates moving higher, forthcoming NCD (non-convertible debenture) issues rumoured at yields of around 9-9.5% and gold prices trending up, there is reason to believe that some investors may readjust their allocation in the coming months. Nevertheless, investor confidence in equity is up and SIP investors are unlikely to change course in a hurry.